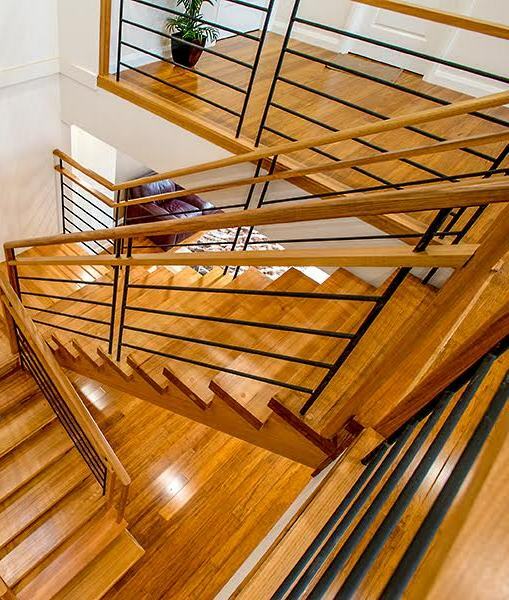 With their striking architectural design and sculptural flare, it is no wonder that custom made floating and cantilevered staircases are a popular choice in contemporary homes.Ingenuity of design is married with technical precision and skills honed over decades of stair building to create a staircase that appears to float up from the floor or out from the wall without the use of visible vertical supports or wall fixings. 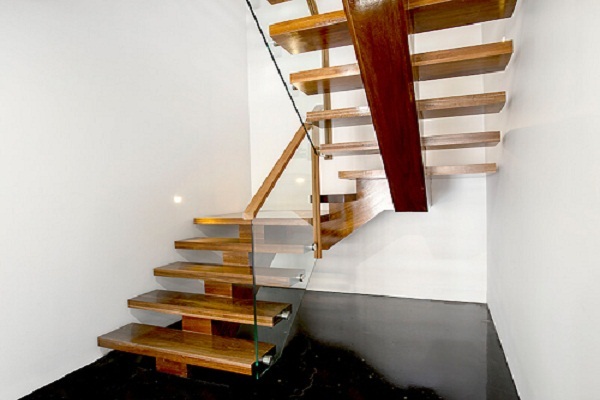 In a half cantilevered stair design the bulk of the stair’s treads will overhang the supporting string, while a fully cantilevered stair (also described as a floating stair) has no visible supporting string or vertical supports and is attached to the wall with invisible fixings. 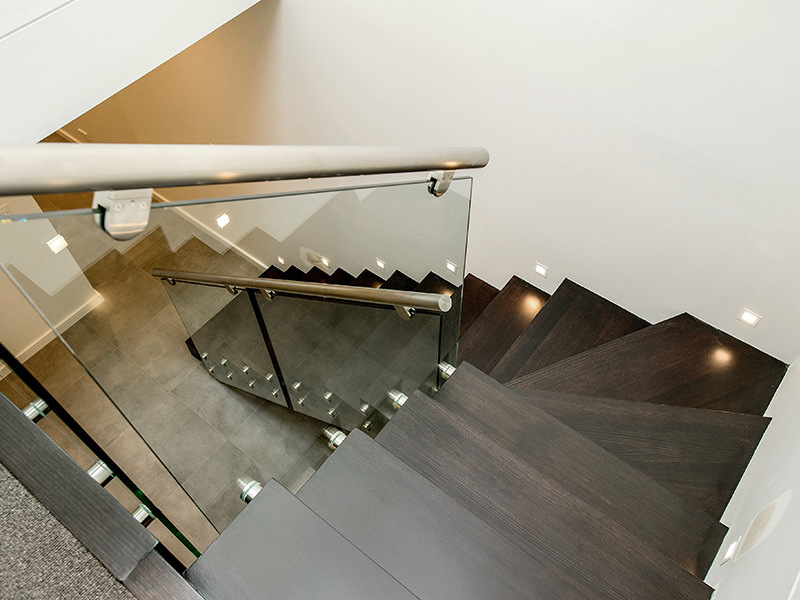 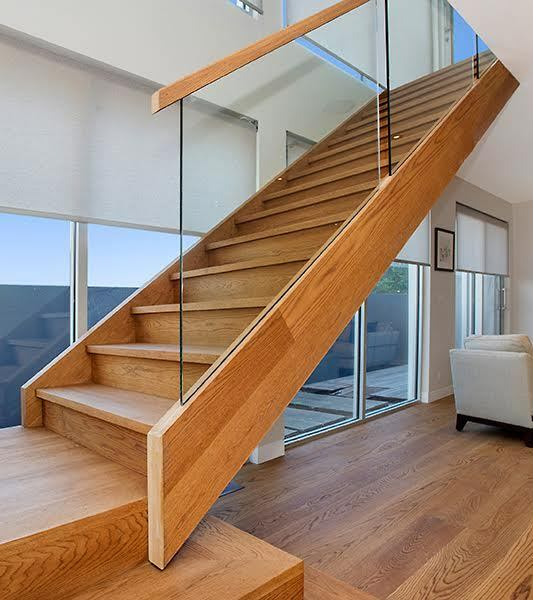 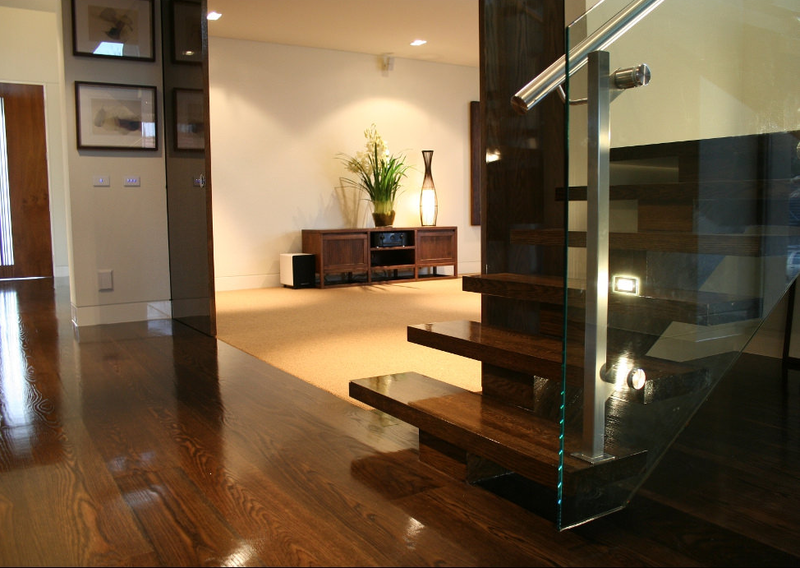 Cantilevered stairs are often braced together with glass panel balustrading which maintains the open and minimalist look.Floating stairs can also be created with the use of a centre carriage string, which once again has no vertical supports connecting the stair to the floor. 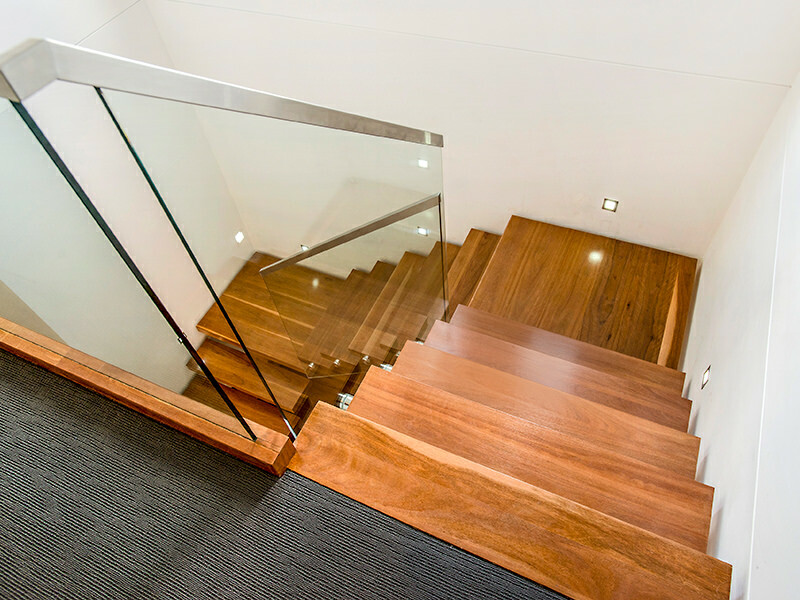 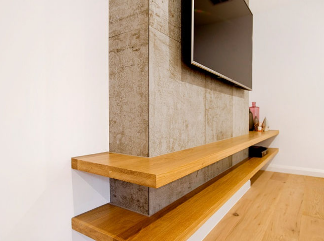 The centre carriage can be made of timber or steel, allowing great flexibility with design and providing a strong visual element to the underside of the stair.